Non-blocking store-and-forward shared-memory architecture with a 5.2Gbps switching capacity and an efficient self-learning and address recognition mechanism enables the forwarding rate to proceed at a full wire speed. 6K address table for auto-learned unicast or static unicast/multicast addresses. 7 trunk groups of up to 4 member ports within 16 ports with flexible load distribution control and fail-over function. Static priority and 802.1p Class of Service with 2-level priority. 802.1x port based network access control. Static MAC addressing and filtering. Source-port-based, destination-port-based, and source-destination-pair-based Sniffer functions. By-port Egress/Ingress bandwidth management control. IP Multicasting with IGMP snooping and an IP multicast table of 256 entries . In Band: SNMP, Web-based HTTP and Telnet with dedicated port or 802.1Q VLAN to increase the management security. Out of Band: RS-232 Console. 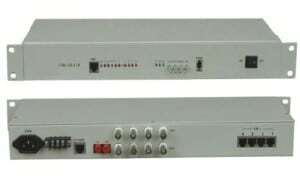 16 100Base-FX SC/PC ports . Dual single-mode fiber, single wavelength 1310nm or 1550nm, dual SC connectors, operating distance 15/40/60km. 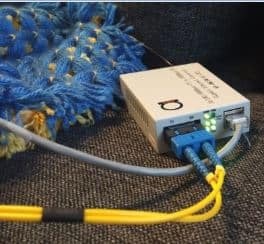 Dual multimode fiber, single wavelength 1310nm, dual SC connectors, operating distance 2km. AN-S5016M is a 16-port high-performance managed Layer 2 optical Ethernet switch that provides an ideal solution for fiber-to-the-home (FTTH) and fiber-to-the-desk (FTTD), and for the applications where the environmental conditions exceed the reach of CAT5 copper cable. The S5016M offers sixteen 100Base-FX ports and with a 19-inch rack-mount width and a 1U height standard design. S5016M network management solution allows administrators to easily configure features, monitor performance, and troubleshoot the switches using a standard RS-232 port, Web browser and Simple Network Management Protocol (SNMP)-based network management platforms.